These are blog posts that describe lessons, resources, and/or classroom strategies useful for geo-educators. 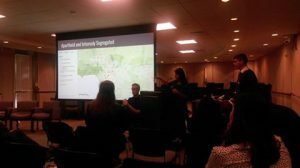 On November 15, the topic of the day at the California Department of Education was Geographic Information Science. More specifically, an internal event organized by CDE staff encouraged staff from a number of different departments within CDE to explore the potential of GIS as a tool in education. The event had three components aimed at engaging the audience of education professionals. CGA Director Tom Herman and CGA Geospatial Technology Coordinator Dr. Ming-Hsiang Tsou joined Dr. Hugh Howard (American River College) and a GIS Specialist for the Army Corps of Engineers on an expert panel. A highlight of the day was hearing from a group from the Math Science & Technology Magnet Academy at Roosevelt High School in Boyle Heights. The students attended with their outstanding English teacher, Alice Im, and presented their work examining relationships between school segregation and graduation rates and exploring environmental racism by comparing the health problems and government responses related to the Porter Ranch gas leak and the Exide Technologies toxic contamination case in Vernon. The CGA also hosted an informational table with our friends from The History Project at UC Davis to share GeoInquiries and how we are helping educators to engage their students in geographic inquiry using GIS. One important message from the day was that GIS provided powerful tools for managing resources and making decisions in complex environments, but the value of GIS is unlocked by human understanding. People still need to be able to ask good questions, and this means geography education is foundational and must be strengthened if we are to fully benefit from the potential of GIS in education and society. The CGA was thrilled to be able to support this event, and we look forward to more exciting developments coming out of the State Department of Education regarding geography. We are excited about building our PD programs around the framework and look forward to a future revision of the standards. 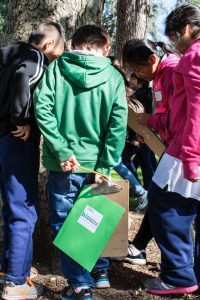 On April 12th the CGA co-hosted a BioBlitz on the Sacramento Capitol grounds with 240 elementary school children from Bowling Green Elementary School. At this event, educators, naturalists, and students came together to learn about, and celebrate biodiversity in one of California’s most recognizable urban parks. The CGA collaborated with the Education and the Environment Initiative of CalRecyle to organize this hugely successful day. We all had a wonderful time, and students came to appreciate the importance of geographic, environmental, and outdoor education. A BioBlitz is an intensive study of biodiversity carried out in a specific area over the course of a day. At our event, students from 3rd through 6th grade at Bowling Green Elementary observed and documented as many plants, birds, insects, mammals, fungi, and other organisms as possible. This gave them a great opportunity to become citizen scientists in their own backyard. They learned how scientists collect observational data, explored the diversity of life that exists even in an urban environment, and came to appreciate how humans influence biodiversity. 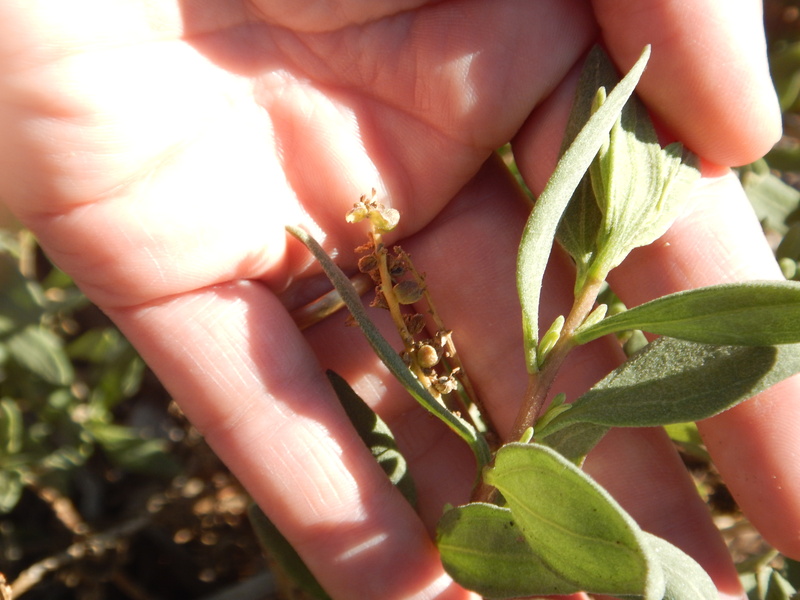 Experienced naturalists were also on hand to help students identify local plants and animals. Additionally, the event hosted information booths on biodiversity, agriculture, recycling. The Capitol Park BioBlitz is one of over 150 BioBlitz events being held around the country this year as part of a National Geographic Initiative marking the National Park Service Centennial. 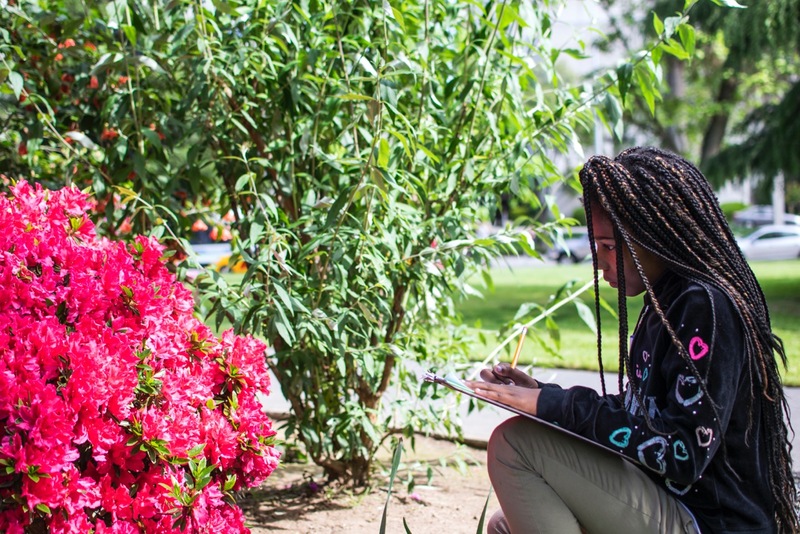 The California Geographic Alliance has joined with a wide range of partners in the California Outdoor Engagement Coalition to support over 25 BioBlitzes in California parks and schoolyards. The media attended the event as well. Our Sacramento BioBlitz was featured on Sacramento’s Fox 40 news, as well as KCRA’s Channel 3. Watch our BioBlitz in action and watch CGA’s Director, Tom Herman, speak about the importance of geography education. 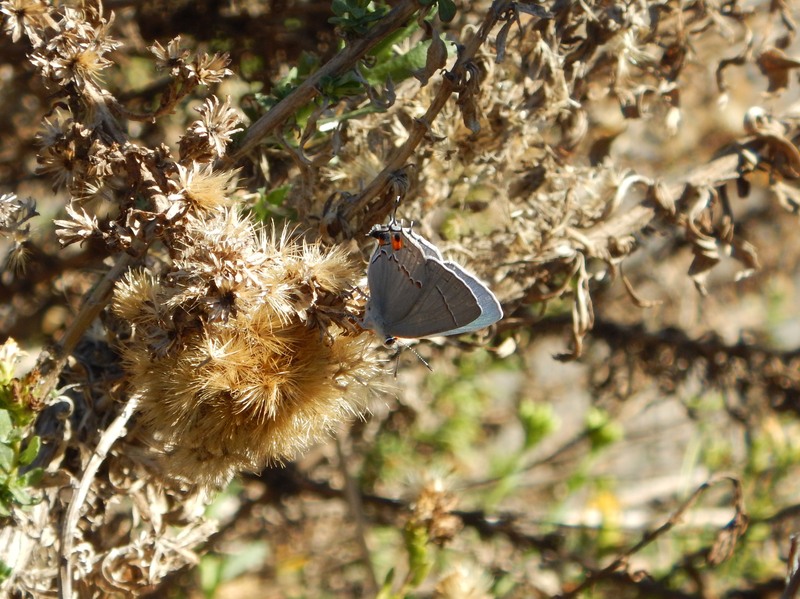 For more information on BioBlitzes being conducted across the state this year, visit the California BioBlitz website and National Geographic. To see some of the species students found at the Sacramento Capitol Park BioBlitz, see our iNaturalist data page. Millions of people on Earth depend on fish as a source of protein along with beef and chicken. However, the growing population’s demand for fish has resulted in over fishing. Fish that are large in size are usually the targets for fishers and these species are usually what humans consume. For example, “of the 465 shark species assessed by the International Union for Conservation of Nature, 74 are listed as vulnerable, endangered or critically endangered” (Wild Seafood). are not endangered like fish. Cows are also bad for the environment because they release methane gas into the environment and they don’t give as much protein per gram than crickets. Kimball Elementary in National City: Biodiversity Hotspot? 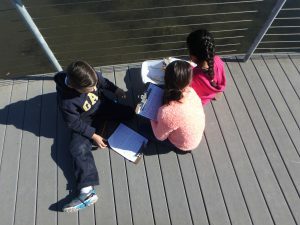 Under the direction of teacher Stephanie Buttell-Maxin, students in two 3rd grade Spanish immersion classes took to “the field” to study biodiversity firsthand as part of a schoolyard BioBlitz. “The field,” in this case, is an area immediately adjacent to the school campus that includes a tidal creek. 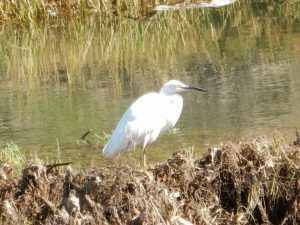 While the area is far from pristine, it provides valuable habitat within an area that is heavily impacted by high density and industrial land uses. Paradise Creek has provided a focal point for environmental education and community activism at Kimball, with students participating in water quality monitoring and site clean ups over the years. BioBlitzing has also been a regular activity. Before even starting the BioBlitz, Mrs. Maxin oriented the students in a thoughtful way by posing two compelling questions about biodiversity and plant and animal adaptations. For the activity, we prepared materials to aide the students in making field observations. Each was given a worksheet and a site map for taking notes, plus magnifiers and cameras that were shared among the students. Mrs. Maxin keeps a wonderful collection of photos and plant samples so the students could use those as resources when trying to determine what they were observing. Prior to heading out into the field, students were provided with some instruction on what naturalists do and coached in using all of their senses to examine the natural world closely. Each small group of 3-5 students was led by an adult, but students decided what to document and collected all of the data on their own. The students really enjoyed taking a closer look at a place they already knew well, and they were able to uncover new information. They realized how many different kinds of plants occupied this small space, and they also experienced how challenging it can be to get a good photo of a moving target. Their knowledge of the site also proved useful in guiding their investigations. Students referred to their site maps and used map reading skills to mark the locations of their observations on that map. 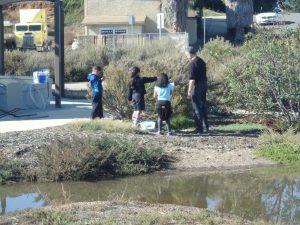 While being naturalists, students also commented on how the trash left behind by people (and washed in by the tides) presented a challenge to the health of the plants and animals, and therefore to the well-being of the students themselves. Civic involvement often means taking care of the place where you live, and they were motivated to make improvements to this place. Congratulations to Mrs. Maxin and the 3rd graders at Kimball Elementary for a job well done. And thank you to the volunteers who helped make this a great experience for the students: Patricia Simpson, Christopher Maxin, Emanuel Delgado, and T Herman. 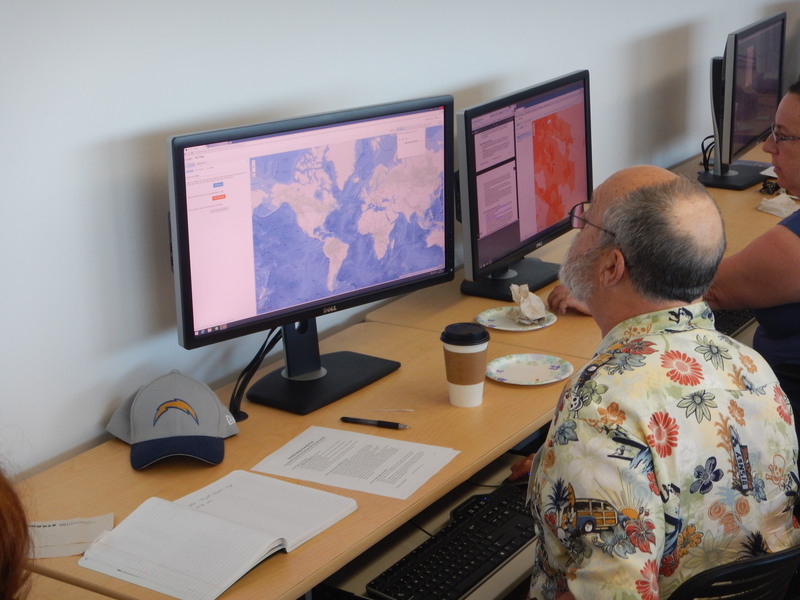 From July 15-17, the Spatial Analysis Lab at San Diego State University’s Geography Department was buzzing with energy and exciting ideas. 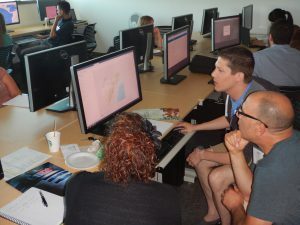 Twenty-one educators were receiving their first instruction in using geographic information systems, having conversations about how the technology could enrich teaching and learning of history and geography, and establishing free ArcGIS organizational accounts for 13 high schools, plus the San Diego History Center and the Girl Scouts of San Gorgonio County. The California Geographic Alliance (CGA), which is funded by the National Geographic Education Foundation, organized the professional development workshop with support from leading GIS software provider Esri, as part of their participation in President Obama’s ConnectED Initiative. Teachers, educational technology resource teachers, and curriculum specialists from San Diego City Schools and Sweetwater Union High School District made up the majority of the group, but they were joined by 4 pre-service teachers who recently completed the Linked Learning program at SDSU, as well as a museum educator and a STEM Program Manager for the Girl Scouts. Guided by Professor Ming-Hsiang Tsou (who serves as CGA’s Geospatial Technology Coordinator) and experienced mappers and patient mentors Cynthia Paloma and Yi-Ting Chuang, workshop participants learned to use ArcGIS Online to create their own web maps, build story maps that integrate maps with other multimedia content, and even use crowdsourcing to collect observations in the field that feed directly into a web map. They were motivated by the possibilities presented through the tools made accessible by Esri, and they were quick learners. By the end of day one, teachers were presenting their own maps! CGA’s Professional Development Coordinator Emily Schell (who is also Executive Director of the California International Studies Project) and teacher leader Trevore Humphrey then helped the educators think strategically about how to integrate GIS into the classroom to create dynamic standards-based learning experiences and enhance students’ understanding of the world. Each educator is now working (independently or in a team) to develop a new educational resource for use in their own classroom. With input from the other participants and CGA staff, these resources will be refined and then shared with other teachers via the CGA website (www.calgeography.org) and future professional development workshops. The educators who came to the workshop are now part of the CGA team working to unleash the power of geospatial technology! A particularly exciting aspect of the GeoQuest JumpStart Workshop was the fact that it continued and supported work that the CGA has been involved with to design and launch a new year-long Human Geography/World Geography course in Sweetwater Union High School District. Four of the participants in the workshop were SUHSD teachers, and it was exciting to see them using ArcGIS Online to create teaching and learning tools that will make the new course dynamic and enable students to develop spatial thinking and geographic reasoning skills. One teacher is creating a Story Map illustrating how the development of the Silk Roads and associate international trade facilitated the transmission of religious philosophies and institutions, another is illustrating commodity chains and globalized business practices associated with fast food meals, while a third project will follow the experiences of the Lost Boys of Sudan from their initial experiences in their war torn homeland to their relocation and experiences as refugees in the San Diego area. It is exciting to see teachers using such a variety of issues and stories to help students gain insights into the power of geography. The CGA team is thrilled to be able to collaborate with Sweetwater’s Human Geography team. San Diego Unified School District teachers working to create a Story Map and learning activities focusing on the relationship between demographic variables and voting patterns in presidential elections. The workshop was the first event coordinated as part of the CGA’s GeoQuest Initiative. GeoQuest seeks to integrate geographic perspectives and the tools of geographical analysis into a diverse range of courses at all grade levels, with an overall focus on building 21st century leadership and problem-solving skills that will enable the U.S. to address the challenges of sustainability, economic competitiveness, and global security while at the same time embracing a diverse citizenry and their varied experiences. The CGA works to promote geographic literacy and support geography education – at all grade levels and in out-of-school programs as well as formal educational settings. While just one of a network of alliances, California is where the first geographic alliance was established in 1982. SDSU’s Department of Geography has served as the host institution for the CGA since 2013. What are the key skills required for a team leader? An effective leader needs to provide a 360 degree perspective and to have capabilities to solve problems by using multiple tools with limited resources. With hands-on skills and technological expertise, a team leader should be able to communicate with his/her team members effectively and to accomplish challenging tasks with collaboration from multiple people in different fields together. All these leadership skills and trainings are the key components in Geography and GIS education. As a teacher of Geography and GIS, I would like to ask every Geography teacher and GIS educator to re-think the goals of Geography and GIS education. To equip students with leadership skills and deep-thinking capability, we should transform Geography education toward the development of team leadership for our community. Understanding local to global challenges, learning geospatial technology and tools, using geo-enabled devices effectively (such as smart phones and navigation systems) are exemplars of important geography education content that can build the fundamental skills of team leadership for students. These examples were highlighted by Dr. Joseph Kerski during his colloquium speech on September 12th, 2014 at San Diego State University. In our GIS education community, Dr. Joseph Kerski is a perfect example of a true team leader who is also an outstanding geographer. With a full house at SDSU’s Colloquium on Friday afternoon, Dr. Kerski delivered an insightful and inspiring presentation focused on learning geospatial tools and thinking critically and spatially about our world. It is a great honor for California Geography Alliance and the Department of Geography to host Dr. Joseph Kerski’s colloquium. Dr. Kerski received his Ph.D. from the University of Colorado in 2000. He is the Geographer and Education Manager at ESRI and an adjunct Professor at University of Denver. With an impressive publication record (five books and over 40 journal articles, papers, and book chapters), Dr. Kerski is probably the most well-known GIS education “guru” in the world. 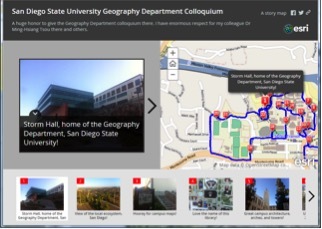 To demonstrate the definition of “guru”, I would like to share the SDSU story map made by Dr. Kerski when he just arrived to SDSU in the morning before his talk (Figure 1). Here is the actual link: http://www.arcgis.com/apps/MapTour/?appid=61035b310fcd425dbf9d722da62c80de. He created this wonderful Story Map by using his mobile phone only and revealed these beautiful scenes around the campus visually and spatially. Very cool and effective! Joseph is my life-long friend (over 18 years) and one of the most admirable scholars in the GIS community. He and I spent 4 years together in the University of Colorado at Boulder during our Ph.D. programs. In order to share his great presentation to the members of California Geography Alliance, we have posted a few sections of his colloquium videos in our YouTube Channel. You can access them from here: http://calgeography.sdsu.edu/featured-talks/. Let’s train our next generation of geographers to become the team leaders in the 21st Century! As 10th grade English teachers at the all girls high school, the Academy of Our Lady of Peace (OLP) in San Diego, this year’s World Literature class was an exciting new venture in education for us. Our core curriculum-aligned, backward design gave us an opportunity to think about the overall course, including what texts we could use and what skills we needed our students to develop. More central and critical questions then arose: what learning acquisition do we really want our students to achieve from literature around the world? What do we want our students to know about themselves and their own abilities? With these guiding and essential questions, we were able to design a very unique set of learning opportunities in project-based learning, edu-tech applications, and, most profoundly, the cross-curricular integration of geo-literacy. In earlier newsletters, the CGA has already described aspects of our collaboration in more detail. In this issue, we will speak more directly to our curriculum design. We designed our World Literature curriculum around the idea of ‘the hero’ and ‘the journey.’ Our fall semester was dedicated to the antihero (Fahrenheit 451), the tragic hero (Oedipus Rex), the romantic hero (Arthurian quest narratives and the epic medium), and the hero as pilgrim (Dante’s Inferno). While it established credibility in a traditional approach to world literature, it incidentally laid groundwork for the second semester: the female hero and her journey in global literature. During our spring semester, our students read and viewed texts and films about the rise of the modern woman in society (A Doll’s House, Norway), the struggles of gender traditions and expectations in a 20th Century setting (Nervous Conditions, Zimbabwe), and the role of strict political and fundamentalist religion on these expectations (Persepolis, Iran and Water, India). In doing so, we prepared them for what they would learn, in a project-based context, emphasizing geo-literacy. One of the most innovative ways in which our students expanded their study of the female hero in literature was through the integration of Pinterest as a learning tool. Students chose symbolic and metaphorical images to pin on their boards, simultaneously utilizing text to foster innovative approaches to interpretation, composition, and critical thinking. The two ongoing Pinterest assignments included the creation of a superhero board and a country board. For their Pinterest country board, each student was given one country to follow for the entire semester. We assigned most students to the 50 poorest countries in the world (cross-referenced by the countries with the most egregious disparities in female literacy rates), with the objective of motivating their deeper understanding of a real place with real people. What they discovered was that heroes exist almost everywhere we look! For example, a student assigned to the Democratic Republic of the Congo became interested in the DRC’s history. She independently researched Leopold’s rule, the consequences of Lumumba’s death, and the ripple effect created by Mobutu’s dictatorship. She then began to use the work of journalists like Nicholas Kristof to learn about the humanitarian efforts made in the DRC today. She, just one of 120 sophomores, independently developed an intrinsically motivated inquiry about the past wrongs and the present efforts to bring education, human rights, and peace to that region. Another example of self-motivated discovery came from a student who lives in Mexico and travels to OLP across the international border every day. She was assigned a country in Central Asia about which she knew nothing. She was initially apprehensive because she bears daily witness to poverty and a lack of services in her own city of Tijuana – why study a faraway place when the problem confronts you everyday? Through her own determination and curiosity, she developed a relationship with a distant culture, language, and set of beliefs only to better understandthe complexity of issues in her own hometown. Teenagers often feel helpless when confronted by global problems, but this geo-literacy project gave them a sense of independent choice that ultimately led to activism in San Diego and Northern Baja; a deeper understanding of Kyrgyzstan offered the tools she needs to understand her community and culture. For their superhero board on Pinterest, each student developed an alter ego who is not limited to this place or time. Throughout the semester the development of personal superheroes allowed for very flexible and expandable learning modalities. For example, one week we engaged in a discussion about gender-based wage disparity that peaked their interest in the number of women currently holding leadership positions around the world; inspired by the conversation in class, the girls went home, researched current statistics, and added findings to their country boards based on the types of justice issues they care about most. The culmination of this superhero “alter ego” became a collaborative music video project in which students combined the traits of their own superheroes into a 21st Century woman. We were awarded a very unique opportunity this year when the California Geographic Alliance chose OLP as a model for geo-literacy in the English classroom. In sending our 10th grade Pilots on an historical, political, geographic, and personal journey through the study of language and literature, our students learned so much about how their lives are integrally connected to the lives of girls around the world. Beyond this, our students were presented with an opportunity to experience a college-level conference, watch a CGA-sponsored screening of Girl Rising, andlisten to and engage with three exciting guest speakers. Along with this symposium, the CGA sponsored an essay contest among the World Literature students, the results of which were published in last month’s newsletter. This was an amazing and collaborative experience for us as teachers, and we ultimately we attained the goals we built into the 10th grade curriculum; we observed our students become creative, independent, critical thinkers and writers, while analyzing texts that challenge them with real world situations and issues. By expanding our curriculum to include a focus on specific geographical issues, students were able to complement literary texts with real world knowledge on important social and political issues. In doing so, our students have been truly inspired to strive for change. Or in the words of essay winner, Mariana Fernandez, they are inspired to “create commotion,” or small ripples of change as they work to make the world a better place. As a follow up to last month’s newsletter, we’re very pleased to share the award-winning student essay written by Mariana Fernandez, a sophomore in the World Literature program at the Academy of Our Lady of Peace in San Diego. The prompt for Mariana’s essay was: How does our study of girls around the world help us better understand the true meaning of the word hero? Next month, teachers Katie Turner and Laura Rodriguez will share their World Literature curriculum and describe how they incorporated geo-literacy into their classrooms. 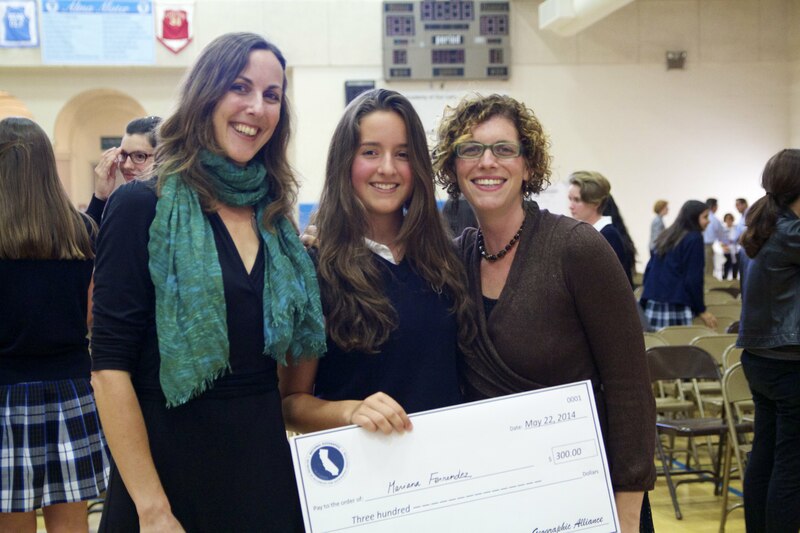 Congratulations again to Mariana Fernandez for her inspiring essay! On the first day of sophomore year, I walked into my World Literature classroom with the mindset of a girl who just wanted an A in the class in order to have a solid application for college. I came in and mentally prepared myself for the mindless note taking and quizzes about plot and character that I would probably have to endure. I sat down and looked up at the front of the room as I slumped in my seat. Right there, in the middle of the whiteboard, were the words “change the world literature”. Back then, I had no clue that those words were true and that I would walk out of the classroom with a completely different perspective about the world. I did not realize that this would be one of the classes I can say changed my life. This year, I am leaving World Literature as a girl who will do all she can to change the world. Throughout the year, I was taught to understand different characters, from around the world that came to life for me as a result of each author’s harmonious placement of words on paper. I was also given an opportunity to use that knowledge and understanding of heroic characters to develop my own idea of a hero, who I named Anna. To summarize, I was given the opportunity to actually use the things I learned in class in order to form the girl who will walk out of my high school in two years, ready to change the world. If I had to choose a few characters who, through literature, changed my perspective about the world, they would include Guy Montag, created by Ray Bradbury in Fahrenheit 451, Liesel Meminger, given life by Marcus Zusak in The Book Thief, and Marji, formed from personal memory by Marjane Satrapi in Persepolis: The Story of A Childhood. Montag lives in an American dystopian society that is opposed to any sort of intellect; Liesel is a girl living in Nazi Germany, a time when certain books were banned and questioning the Nazi’s methods was dangerous; Marji lives in Iran, during the time of the Islamic Revolution. Similar to Montag and Liesel, Marji’s curiosity and will to learn is suppressed by seemingly irrepressible forces. When placed apart these are just ordinary heroes who can only teach a girl like me so much. In other words, I can discover as much by just focussing on one of these heroes as I would if I tried to learn about World War II using only my country’s perspective. However, when I place them together, I am able to gain a real understanding of what it actually means to be a hero. I understood this definition of heroism when I took a step back and looked at the big picture: three characters who come from completely different parts of the world become heroes against all social, political, and cultural odds. These characters have different cultures, which makes them approach their challenges differently, but the fact that three different paths lead to the same destination, shows that a certain language or the color of one’s skin isn’t what makes someone a hero. A person becomes a hero because of the courage she has to take a step onto the rocky path that leads to change. One of the biggest struggles shared by each hero is finding her voice amongst a society that is constantly trying to quiet her. They have trouble accepting that no one is going to speak up and say that what their society is doing is wrong. However, in the end all of these ordinary people somehow find the courage they need to act out against injustices. In The Book Thief, Liesel has “twenty seconds of insane courage” as Benjamin Mee said in We Bought a Zoo, directed by Cameron Crowe. She literally crosses her own threshold and grabs a book from the fiery flames of a famous Nazi book burning, in order to learn to read. In Persepolis, Marji also musters up this same courage when she raises her hand in class to contradict the unfair teacher, and fundamentalist practices as a whole. She stands out among the other students who simply agree with the status quo, like mindless drones who fear thinking a single independent thought (Satrapi 144). In Fahrenheit 451, Guy Montag does not have super strength, or any other superpower like Superman. Instead, he is an average person who chooses to become an outlaw instead of living in a place where education is banned. I admire the courage he must have in order to do what is right, even when he knows that the consequences will be horrible. All of these characters change the common definition of the word hero. They are not magical beings with preposterous powers; none of their actions result in a huge revolution; but, in my opinion, what makes them heroes is the fact that they have that insane courage to question what they are led to believe and to take leaps of faith. This new idea about what it means to be a hero inspired the creation of Anna, my own hero, who I developed throughout the semester as a class Pinterest project on geo-literacy. Anna is the result of every character, every conflict, every idea (even every homework assignment!) I encountered during World Literature. She is the person who I hope I will become in the future. Anna is a girl who is not afraid to speak out against injustices that occur in her society. Injustices such as bullying occur all around her. Of course, stopping the bullies would mean that Anna may not be “popular” or well-liked. However she does not fear the persecution that will follow her attempts to be true to herself and true to her beliefs. The fact that she doesn’t care about the consequences of choosing what is just over what is wrong is what makes her a superhero and motivates me to become a hero in my own society. In a letter written to high schoolers just like me, e.e. cummings once said, “to be nobody but yourself in a world which is doing its best, day and night, to make you everybody else means to fight the hardest battle which any human being can fight; and never stop fighting.” My superhero alter ego may not have saved a million lives yet, but she is a hero because she has the courage to be herself. After learning about Marji in Iran, Montag from a dystopian future in the United States, and Liesel in Nazi Germany, it is now my turn to adapt their courage and bring Anna to life. I used to think that changing the world meant creating a huge revolution that completely erases the current structure, much like the systems that try to stop people like Marji, Montag, and Liesel from growing. I now know that all I need to do to change the world is create a tiny ripple that will change at least one life. This tiny change causes people to question the rules and realize when there is something wrong. Basically, in order to be a hero, I must find the courage to create commotion. This commotion will probably result in people being perplexed that I dared to question the “norm”, because after commotion, people try to fix things and go back to “normal” life. My commotion will help them realize there are things that need fixing for the better. The heroes I met, not only from Germany or Iran, but from Nepal, India, Peru, Sierra Leone, Egypt, Ethiopia, and Afghanistan as well, cause a commotion in me which inspires me to create waves. I have decided to create commotion, and though I may not be the one who changes the whole world, I will be a part of those who inspire this change. Bradbury, Ray. Fahrenheit 451. Evanston: McDougal Littell, 1998. Print. Satrapi, Marjane. Persepolis. New York, NY: Pantheon, 2003. Print. Zusak, Markus. The Book Thief. New York: Alfred A. Knopf, 2006. Print. Note: This article is based on a presentation given at the 2014 California Council for the Social Studies Conference. Geographic Information Systems (GIS) is designed to capture, store, manipulate, analyze, manage, and present all types of geographical data. 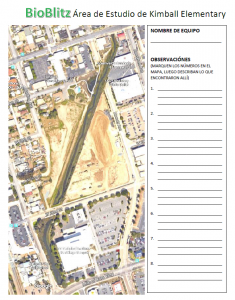 Google Earth as well as other modern online GIS tools has greatly added to the list of free and accessible geospatial technology that teachers can use as a powerful tool in their classrooms, and this article will provide some ideas for science, Math, and English classrooms. While great traditional map sources like National Geographic “One-Pager Maps” offer great hands on opportunities for students to work in geography, geospatial technology offers students a far more dynamic medium to work in. There are two main paths to using GIS in the classroom; Instructional and Project Based Learning (PBL). EX: Student(s) creates basic map and tour that shows the paths of migration and settlement in early America. EX: Student(s) creates map that compares and contrasts basic U.S. census data from two different decades. Map highlights and describes significant changes over time. Instructional uses fall into three major categories that are as follows. Direct Instruction: Part of lecture or activity. GIS programs can be quickly and easily used as an instructional reference map with greater detail and accuracy than any paper or static map. EX: Showing student(s) historically significant physical markers like the Panama Canal or the Great Wall of China. Independent Study: Excellent digital resource. EX: Have student(s) complete an “Earth Quest” in which they explore the map you have created and answer questions and prompts as they go. Review: Good format for unit review. EX: Create a comprehensive review for a unit exam by narrating an audio tour (Google Earth) which covers the content and concepts students need to know for the exam. Post file online for students to access at their convenience. Include content check questions along the way. Geography has been often restricted to the Social Studies classroom and is often only covered there but with the opportunities that GIS offers we can bring geography into multiple disciplines. The following are brief descriptions with links that support geospatial technology use outside the social-studies. Science: The core subject of science and in particular, earth science and environmental science are areas that can be greatly aided by using geospatial technology. There already is a plethora of models and data out there for teachers to use. For some great k-12 earth science activities and lesson plans for Google Earth visit the Earth and Space Science QUEST by Penn State. English: We ask students to look up vocabulary terms that are new to them when they are reading. They should also be looking up locations and places they read about but are not familiar with. This will strengthen understanding through generating geographic context, mental maps, and spatial relationships. A great resource for teachers is Google Lit Trips which is a site full of Google Earth models for a variety of fiction and non-fiction books k-12 students read. And creating a Google Lit Trip could be a great project to accompany reading a novel. While geography still remains a largely social studies discipline GIS offers teachers a technology that can support interdisciplinary work as well as help meet the goals of the new Common Core standards. The following are some of the few benefits of having students work with GIS no matter what class they are in. In conclusion, there are a wide variety of GIS programs; some that are simple and quick to use such as National Geographic MapMaker interactive or Google Maps; some that are a bit more advanced and offer greater complexity such as Google Earth or ArcGIS Online. No matter what GIS program you might use for your class the result will be a new, dynamic, and engaging approach to incorporate geography and technology into your classroom.